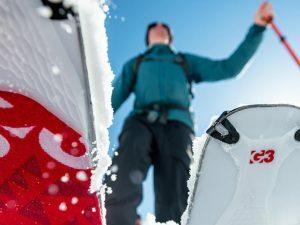 The Canadian leader in ski touring equipment G3 Genuine Guide gear is giving us a pretty awesome new collection! During the fall, the company presented it's new ski touring binding - the ZED! ZED is light enough to get you easily up the hill, but at the same time to give an amazing performance on the way down! There are also some new touches on the skins and new looks that you will enjoy, for sure! Find out more and visit Basecamp Store where you will find all that we are talking about!